A carbonated drink infused with cannabidol (CBD) has gone on sale for the first time in the UK. 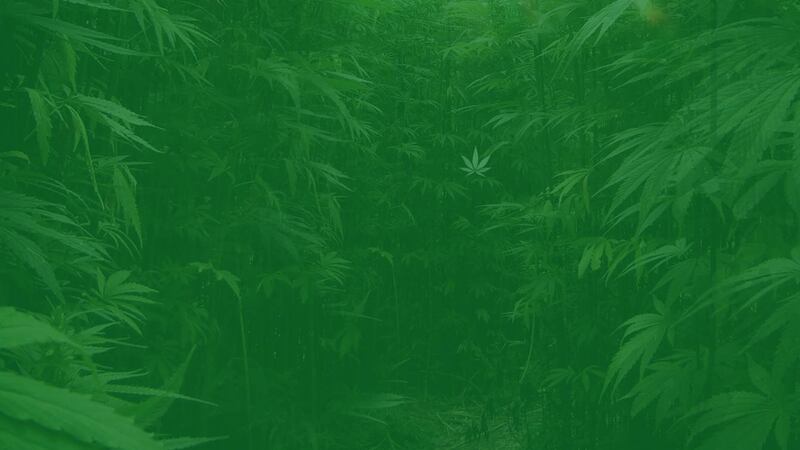 The new drink, called Green Monkey combines mixed fruit flavours with high quality CBD, a legal and non psychoactive extract of the cannabis plant. Green Monkey has received backing from the pharmacy industry and contains 10mg of CBD in every 250ml can. 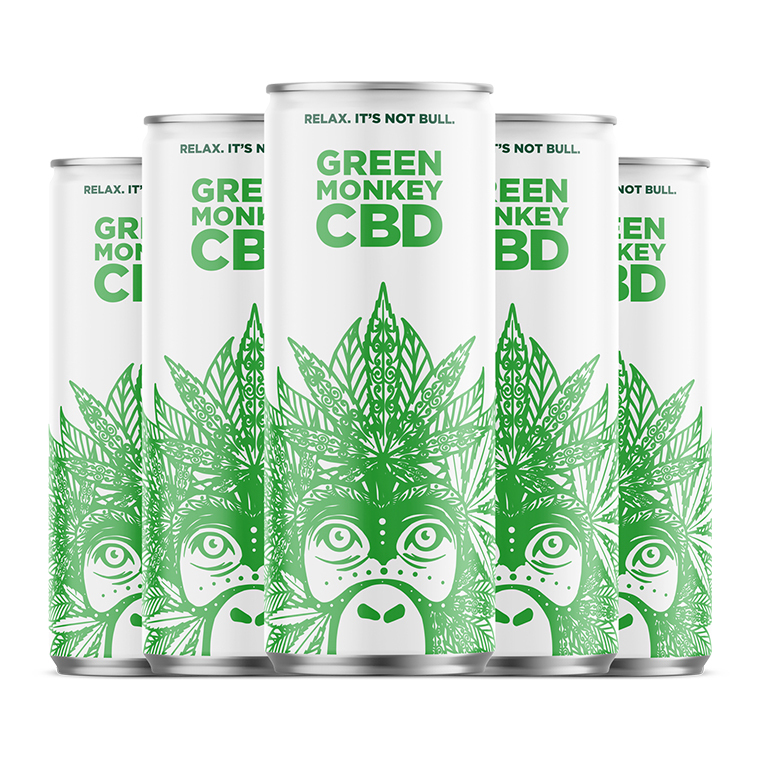 Having gone on sale this week, Green Monkey is the very first CBD infused carbonated drink available to purchase in the UK, and is being sold in pharmacies and online. Green Monkey comes to market at a time of huge interest in the therapeutic potential of cannabidiol, and after publication of many recent that suggest CBD may help alleviate stress and anxiety, aid relaxation and benefit those experiencing a wide range of health conditions. The new carbonated drink has undergone rigorous testing to achieve regulatory compliance in the UK and its manufacturers, Green Monkey Drinks Limited, have spent months formulating a combined fruit and CBD taste to successfully compete in the soft drinks market. Green Monkey will be positioned as the opposite to well-established energy brands. Green Monkey is backed by the Jhoots Pharmacy chain and pharmaceutical distributor AV Pharma, and both have been heavily involved in the development and legal compliance of the beverage. A can of Green Monkey will retail at £1.89 and will also be available in packs of 6, 12 and 24. “After months of hard work, we’re proud to have launched the first CBD infused carbonated drink in the UK. 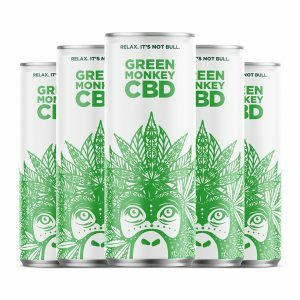 The new carbonated drink is the latest in a number of CBD products developed by Green Monkey Drinks Ltd, with the company also supplying over-the-counter pharmacy products including CBD drops, CBD balms and CBD capsules. Green Monkey Drinks Limited makes no medical claims with regards to any of our products. We advise you research CBD independently. © Green Monkey CBD. All Rights Reserved. © Green Monkey. All Rights Reserved.